Peach cookies with dulce de leche filling – unusual, beautiful cookie sandwiches that are a pure delight to eat! Make these special cookies! One of the best ways to use Dulce de Leche in a dessert is in a peach sandwich cookie. The reason this cookie is called a peach cookies is not because we’re using peaches in this recipe, no, not at all. We are just making these cookies look like peaches, and they really look like real peaches! For these cookies to look like real peaches, they have to be colored with red and orange colors. What natural colors can be used instead of artificial red and orange colors? Can you make peach cookies with natural colors without artificial colors? 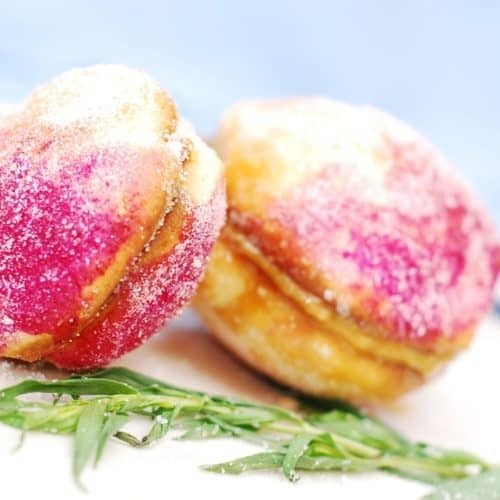 I do not use any artificial coloring in this recipe – instead I use homemade beet juice and homemade carrot juice to create colors on these peach cookies. This cookie recipe is very dear to my heart. I first saw these peach cookies when I was a child. It was the most beautiful cookie I’ve ever seen in my life and I was mesmerized. Finally, I made my own peach cookies with dulce de leche filling. The cookies did not disappoint. They tasted as good as they looked. I recently made these for my husband for the first time, and he is now hooked too. So, if you’re thinking of making something different this Christmas baking season, try these peach cookies with Dulce de Leche filling. 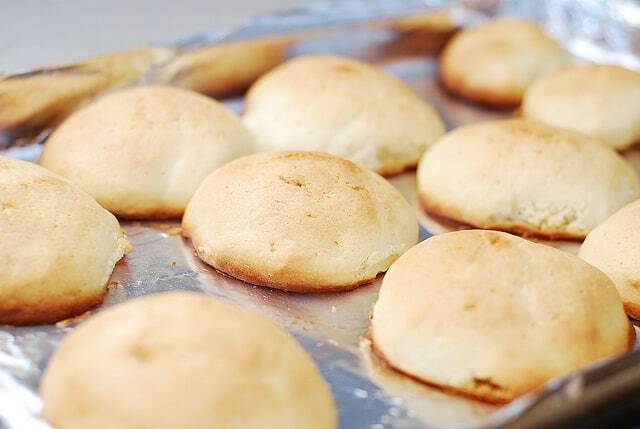 Below are step-by-step photos for how to make peach cookies – they are very helpful as you’re making this recipe. For complete recipe, scroll down below the photos. Cookie halves are baked – nice and browned! They almost look like peaches already! Peach Cookies with Dulce De Leche Filling - there are no peaches in these cookies. But these cookies look like REAL PEACHES! I do not use any artificial coloring in this recipe - instead I use natural colors: homemade beet juice and homemade carrot juice to color these peach cookies. In a large bowl, beat 2 eggs with 3/4 cup sugar on high speed until the mixture is white. 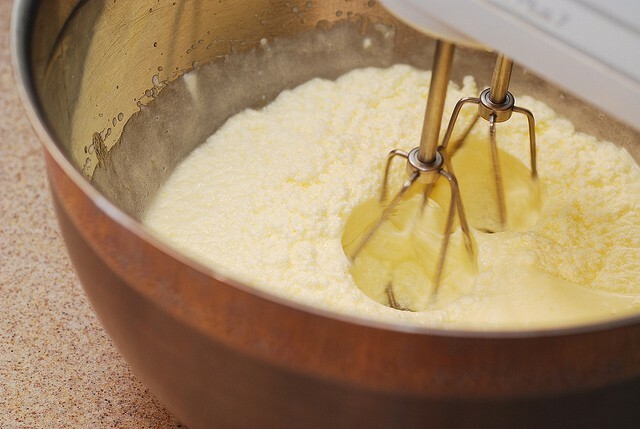 Add softened butter, sour cream and continue beating to reach even consistency. In a separate medium size bowl, mix flour with baking soda and add to the egg mixture, beating until well combined. Refrigerate dough for at least 2 hours (or put it in the freezer for 30-40 minutes, then in the refrigerator for 20 minutes). Remove cookie dough from refrigerator. Grease baking sheet. 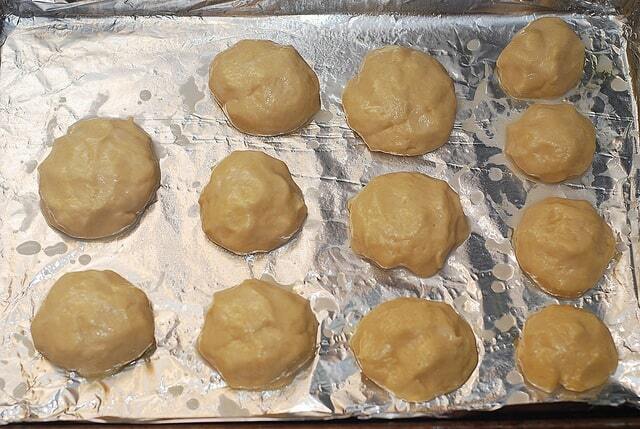 Flour your working surface and immediately form 24 balls from the cookie dough, not allowing them to warm. These 24 balls will be halves of 12 “peaches”. 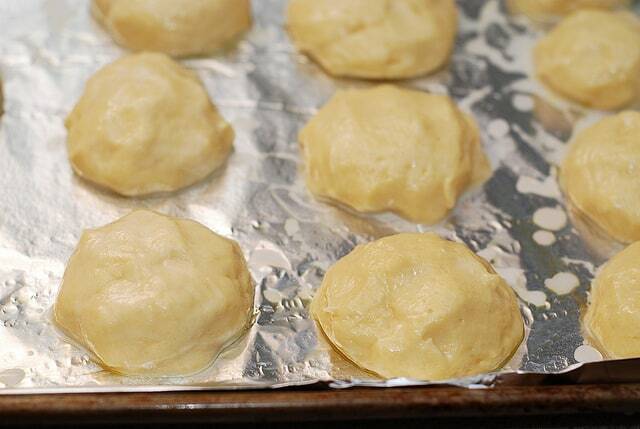 If necessary, put cookie dough ball back in the freezer for 10-15 minutes. 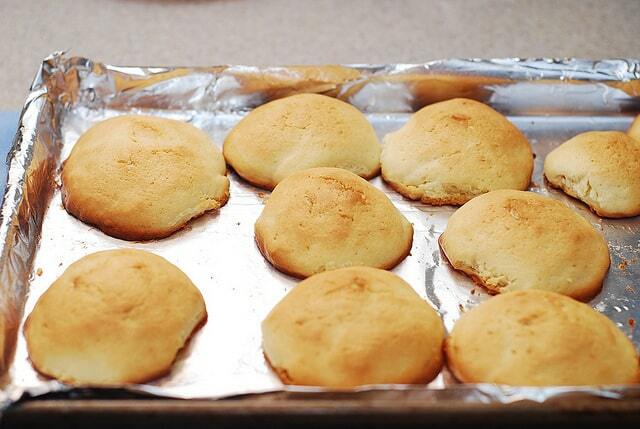 Cool cookies (baked halves of “peaches”) for about 20-30 minutes. 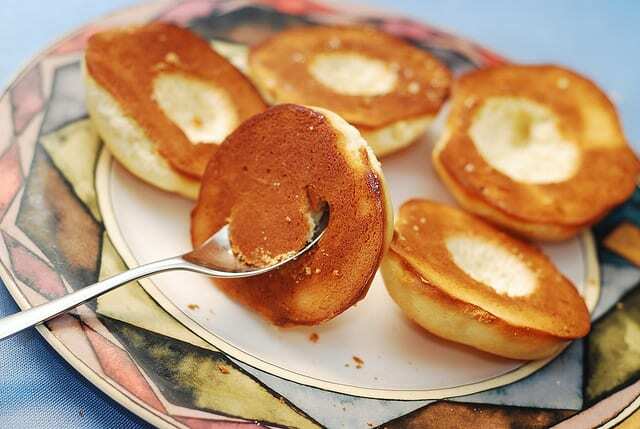 Then, using a spoon, and while cookies are still warm, create as large of an indentation (hole) inside the flat side of each “cookie” as you can. Refer to photos above this recipe box (scroll up). Pour beet juice into a small bowl. Pour carrot juice into a separate bowl. Add 1 cup of sugar to a third bowl. 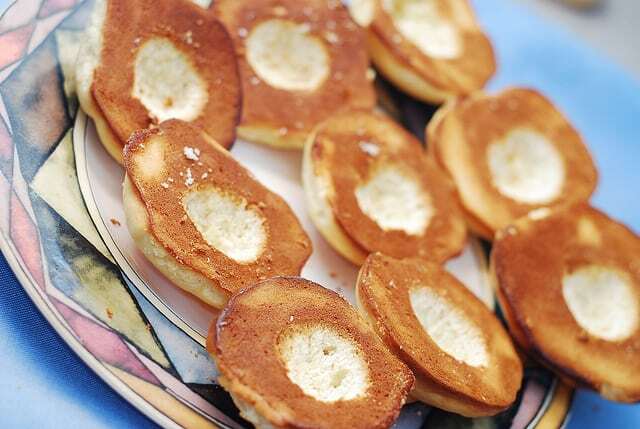 Fill the indentation of each cookie half with dulce de leche and add a piece of walnut inside each indentation. 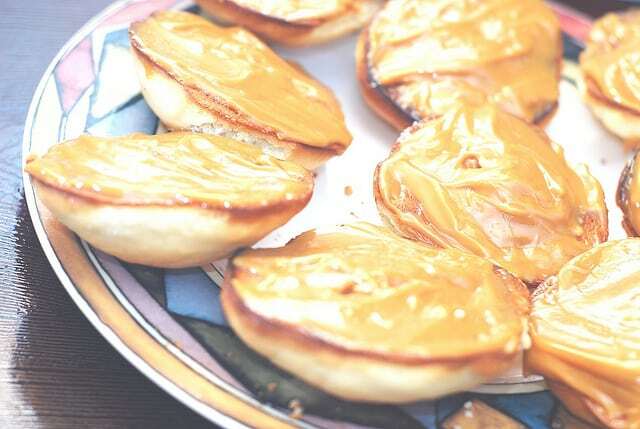 Brush the flat side of the cookies with more dulce de leche. Then, bring 2 parts of pastry to glue together with Dulce de Leche and sandwich them together to create peach-shaped sandwich cookie. 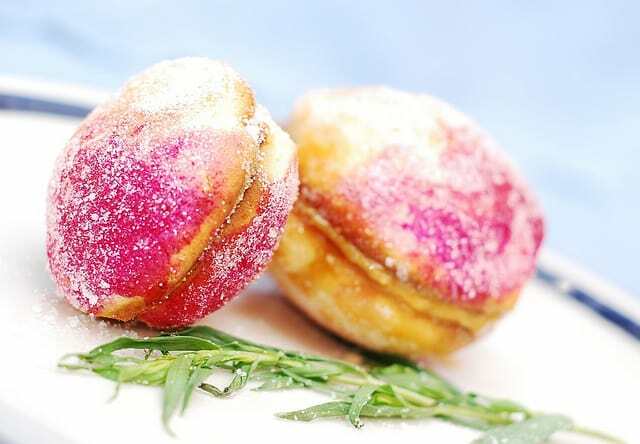 Quickly deep one side of the peach-shaped pastry into beet juice and the other side into carrot juice. Then, roll the pastry in sugar to coat it nicely. Place it on a tray and then put the tray immediately in the refrigerator. Repeat this with each pastry. Keep the tray with peach-shaped cookies in the refrigerator for at least 1 hour before serving. You can keep those cookies for a week, keep them refrigerated and covered, before serving. 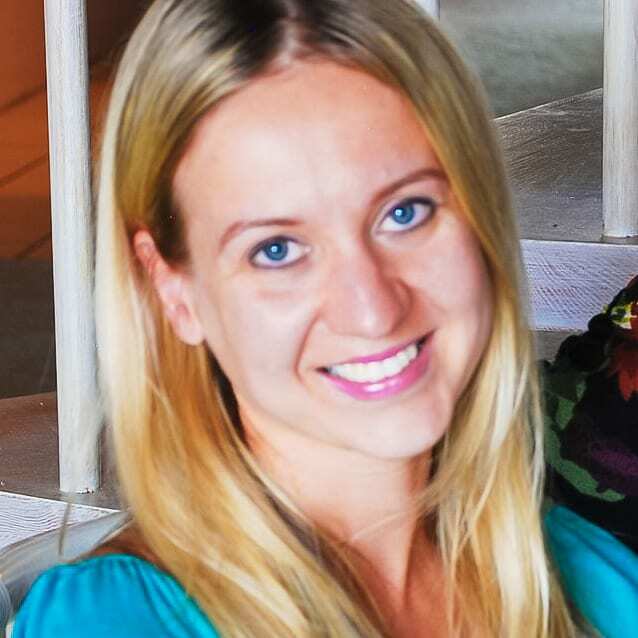 Julia, the picture of these is what got me to first come to your site. They look so amazing. I was scrolling Pinterest tonight, saw them again and had to comment. Beautiful and a must try soon. Can food coloring be substituted and work well instead of carrot and beet juice? Or do you have another suggestion to use as a substitute? I cannot wait to make these! They look beautiful! Goodness, you even made step by step pictures….I never have time to do that. And I see you used natural coloring…somehow I didn’t even think of that, what a great idea! Your cookies look awesome! I have been eating these cookies ever since I have been a child. My mother always makes them for holidays or charity bake sales. I now make my own version of them by crumbling the scooped out insides, and adding roasted finely chopped walnuts and strawberry perserves. Now I think I will incorporate your recipe with mine by omitting the perserves and using DDL instead along with the nuts and cookie crumbs to fill the inside of the cookies. Ohhh, so excited to go home and try this; I am sure it will taste spectacular! 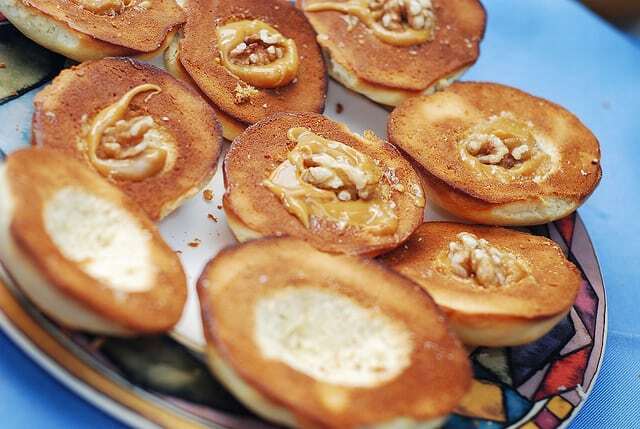 Yes, in fact that’s a very popular variation of the filling: mixing dulce de leche with nuts and cookie crumbs. It will be so delicious! I need to make these again with this type of filling! These sound delicious and really do remind me of peaches! I love that pink color on the cookies, and the dulce de leche filling sounds amazing! What a unique cookie, definitley something different for the holidays. 🙂 I love that story about how you first heard of them! Oh yeah, so easy with orange and red – carrots and beets do the job! Beautiful cookies! Sounds amazingly delicious too! These are so beautiful! Anything with dulce de leche is just amazing! Those look so good!! And surprisingly, not as complicated as I thought they would be. Not at all. These came out kind of big, next time, I’ll try to make them in smaller size. hurrah! for the holiday baking season opening! Now I know what to do with my dulce de leche I’ll make, besides you know eating it with a spoon… quickly…. I know what you mean – I eat my dulce de leche right out of the jar!